To begin their search for a Cool Zone, the app's users simply type in their address or place a point on the map. You can find anything—from townships services and county council representatives to historic temples and community gardens—using the extensive collection of interactive maps that Salt Lake County, Utah, offers the public. But the county’s Cool Zone Interactive Map, launched in July 2015 for Salt Lake County (SLCo) Aging and Adult Services, may also save lives. Summers in Salt Lake County can be brutal. Temperatures often soar past 100 degrees Fahrenheit during the day, causing some people to wilt when they venture outdoors. However, extreme temperatures can be very dangerous to senior citizens and disabled persons, especially those whose houses or apartments lack air conditioning. That leaves them at greater risk for illnesses such as heat exhaustion and heat stroke. To reduce their chances of suffering from heat-related health issues, SLCo Aging and Adult Services launched the Cool Zone Program, opening air-conditioned libraries, senior centers, recreation centers, and indoor ice skating facilities or “ice centers” to senior citizens and people with disabilities to help them beat the heat and get the opportunity to socialize with each other. There are currently more than 30 Cool Zones in Salt Lake County. 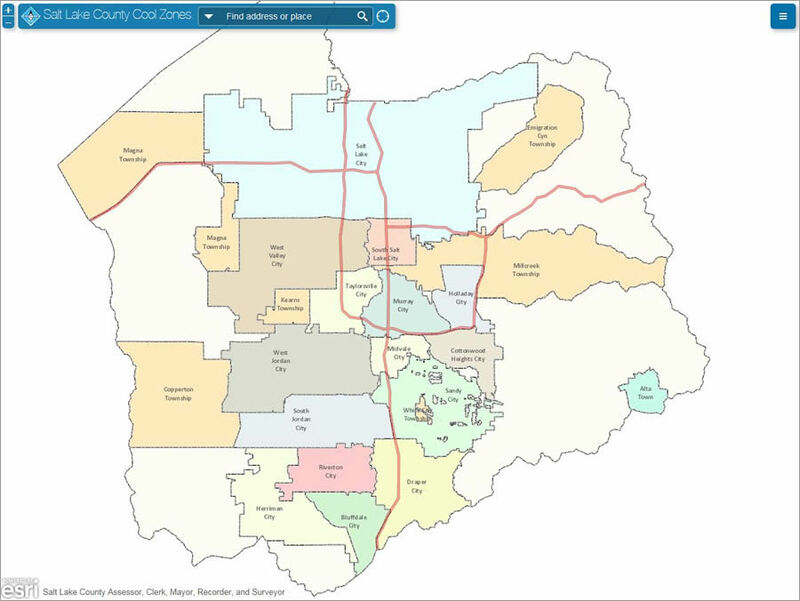 To help people find the Cool Zones closest to their homes, the SLCo Aging and Adult Services agency asked the Salt Lake County Surveyor’s Office to create a user-friendly, interactive map of Cool Zone locations. The locations of Cool Zones within four miles of the user's chosen location appear on the map and in a list to the right of the map. The surveyor’s office decided to use the Local Perspective configurable app available in ArcGIS Onlineto create the web mapping app. 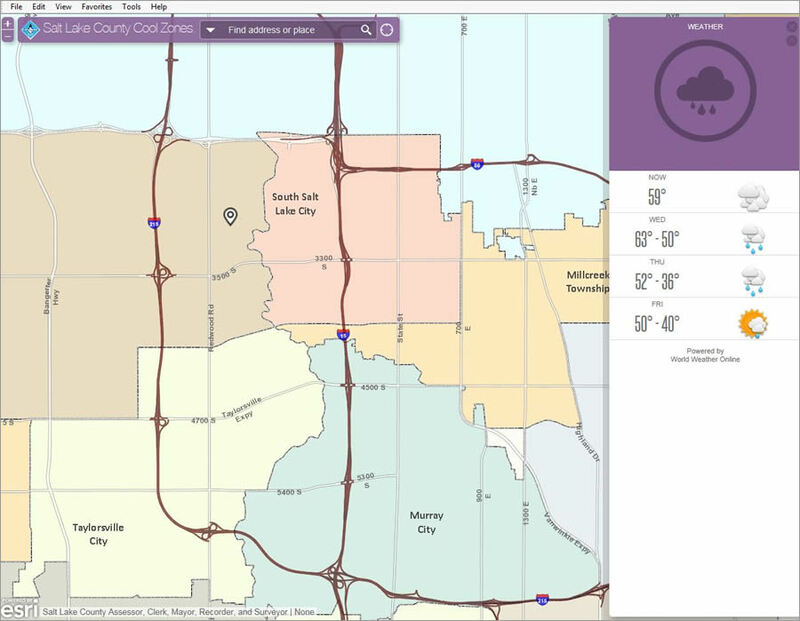 Local Perspective, one of dozens of configurable apps that Esri offers in ArcGIS Online, gives the app’s users the ability to find the mapped locations of Cool Zones that are closest to them by either placing a point on the map to indicate where they live or typing their street address in a search box. The app then displays the Cool Zones within a buffered distance of the location the user selects. If the user types an address on Hollywood Avenue in Salt Lake City and chooses a three-mile radius around that location, six Cool Zone locations will appear as pop-ups on the map and also in a list to the right of the map. The app was configured to create a 1- to 10-mile radius around a point on the map. When the user selects one of the Cool Zones—for example, Fairmount Aquatic Center near Hollywood Avenue—the distance from the user’s location will appear (e.g., .94 miles) along with the address of the facility, telephone number, and hours of operation as well as other pertinent information such as the current local temperature. 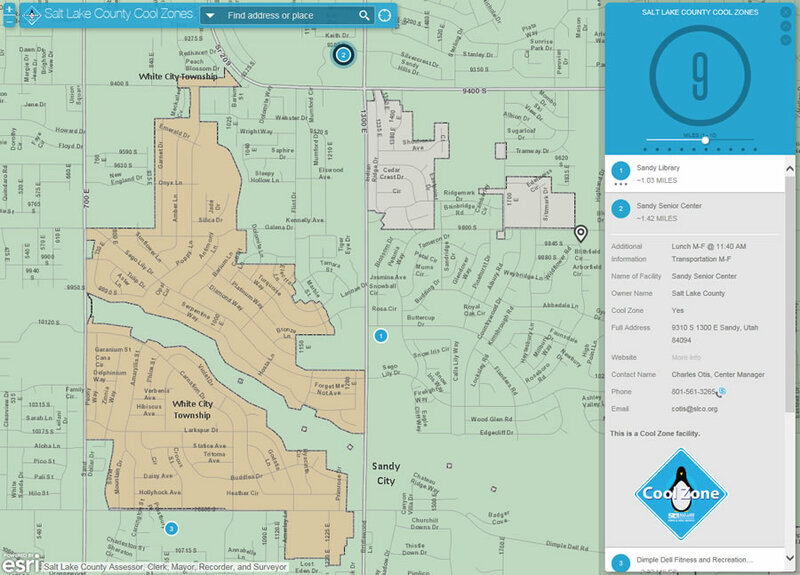 The Cool Zone Interactive Map app was created by Emily LaMunyon, a GIS analyst and web developer for the Salt Lake County Surveyor’s Office. LaMunyon, who makes many apps for her organization and the general public, said it took less than one day to build the app. She began by compiling a list (from an Excel spreadsheet) of Cool Zone locations in the area—including all the important information associated with each place—and putting it into a GIS layer in the ArcMap application in ArcGIS for Desktop. Users can easily view detailed information about a particular Cool Zone location, such as the name and address of the facility and the time lunch is served. Next, she published the layer as a map service using ArcGIS for Server. 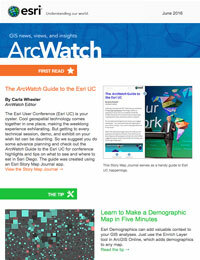 Using a map service is one of the ways that you make maps available to the web using ArcGIS. She added the map service to ArcGIS Online so that she could use it as the Cool Zones layer in web map. To complete the web map, she added a custom base map created by SLCo GIS and configured the pop-ups in the Cool Zones layer so that more information was provided by clicking on a Cool Zone location in the map. Finally, LaMunyon shared the web map via ArcGIS Online using the Local Perspective app. 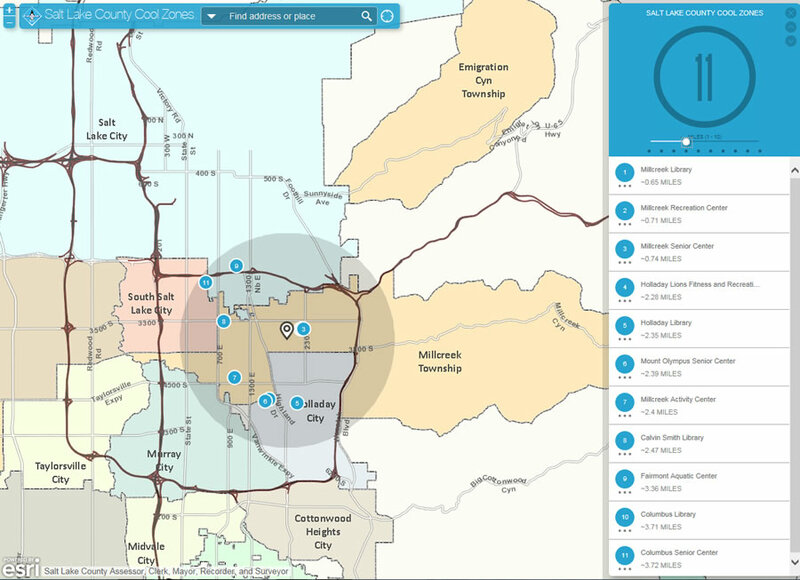 Residents of Salt Lake County can find the Cool Zone Interactive Map in the Cool Zone Program section of the SLCo Aging and Adult Services website. The agency also features an Esri Story Map Tour for finding senior centers in the area. Besides LaMunyon, contributors to this project included Izabela Miller, GIS analyst, Salt Lake County Information Services, and Alex Rudowski, GIS specialist, Salt Lake County Public Works Engineering and Flood Control.